This morning, Wednesday, December 19 at 11:13 a.m, Orange Police received a call from an alert citizen who observed someone take a previously-delivered package from her neighbor’s front porch on Saybrook Road. She was able to give officers a description of a suspect and the vehicle he was driving. Using this information, police located the blue 2008 Chevy Cobalt in the area and the suspect attempted to elude police by first driving away and ignoring officers’ attempts to get him to stop, then by abandoning his vehicle in a parking lot and attempting to flee on foot. Coordinated efforts by the patrol and Investigative Service Divisions allowed officers to close in on the suspect’s position, and he gave himself up shortly thereafter. The arrestee, identified as Corey Roberts, 28, of Monroe, was taken into custody and charged with driving a motor vehicle without Insurance, driving with a suspended license, reckless driving, engaging police in pursuit, driving an unregistered motor vehicle, misuse of a marker plate, third-degree criminal trespass, and four counts of sixth-degree larceny. Officers seized his vehicle from the parking lot of a nearby business. Inside the vehicle, officers found more packages and suspected stolen items. If you did not receive a package that your carrier or seller is claiming was delivered (since Dec. 17), contact police directly at 203-891-2130. At this time, it appears that Roberts may have targeted the Dogwood Road and surrounding residential areas. 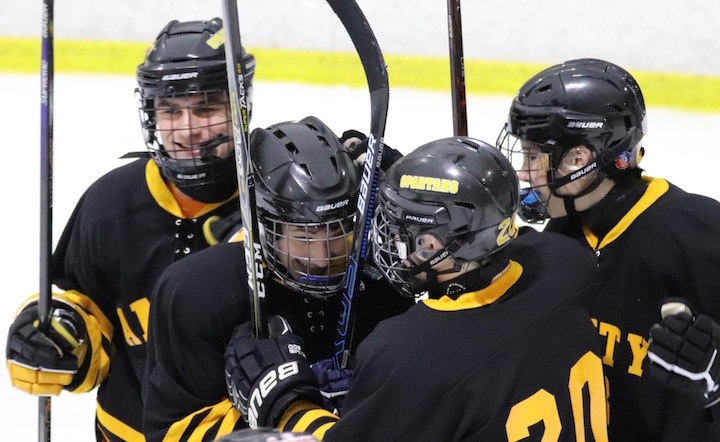 The Winter Sports Season is in full swing, This week, the Boys swim team hits the water, Boys and Girls’ basketball and Ice Hockey compete and Indoor Track begins. Boys Indoor Track SCC Developmental Track Meet #1 Away – Floyd Little Center 5:00 p.m. 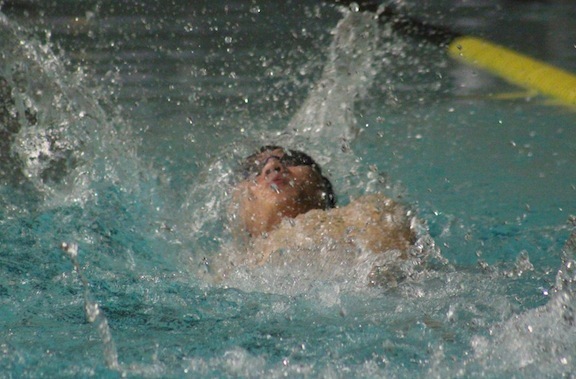 Boys Swimming and Diving vs Hamden Home – Orange Community Pool 6:00 p.m. Boys Basketball vs Fairfield Warde Home at Amity High School 7:00 p.m. Girls Indoor Track SCC Developmental 1 Away at Floyd Little Ctr. 5:00 p.m. Girls Basketball vs Hillhouse Away at Hillhouse HS Gym 7:00 p.m.
Wrestling vs East Haven Away at East Haven High School 6:00 p.m. Boys Ice Hockey vs BBD Away at Danbury Ice Arena 7:40 p.m. Girls Ice Hockey vs West Haven SHA Home at Hamden Ice Rink 8:00 p.m. 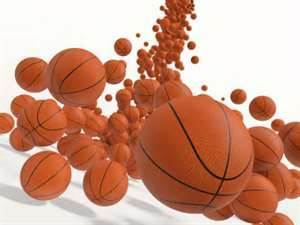 Boys Basketball vs Cheshire Away at Cheshire High West Gym 7:00 p.m. Girls Basketball vs Sheehan Home at Amity High School 5:00 p.m.
Wrestling Southington Duals Away 10:00 a.m. 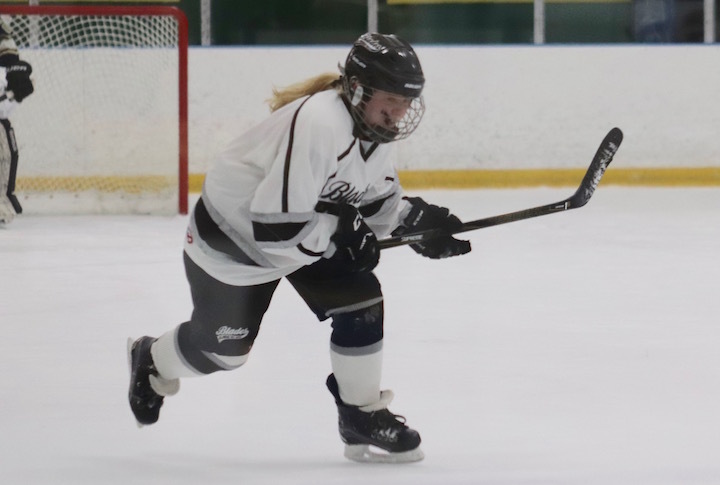 Girls Ice Hockey v. Suffield-Ellington-Enfield-Granby-Canton Home at Hamden Ice Rink 3:00 p.m. If you are one of the lucky families that signed up for Santa’s Helper this year, don’t forget that today’s the day! Santa is practicing his “Ho, Ho, Ho” and the elves and helpers have been working hard to get the fire trucks ready to go! 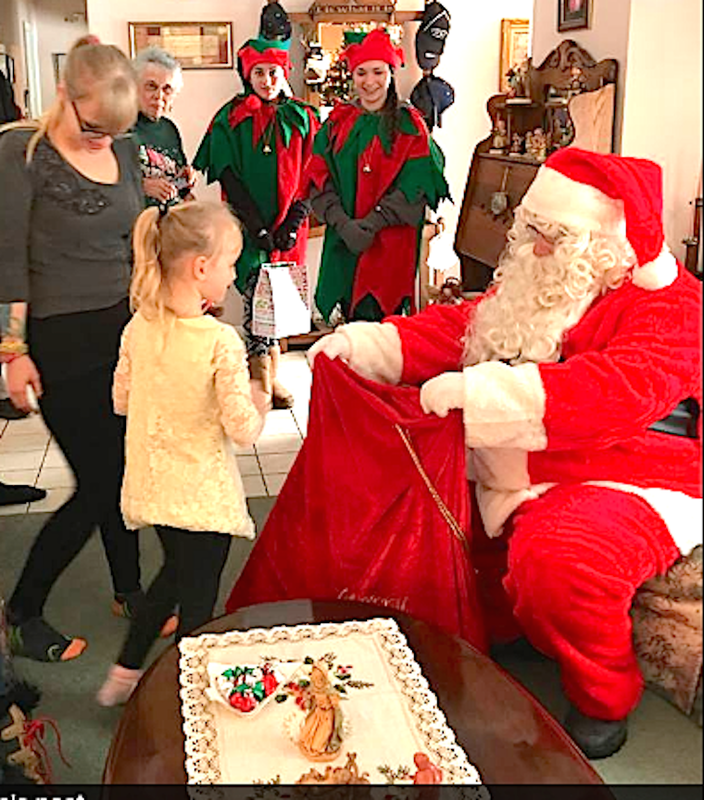 Don’t make alternate plans for today, Saturday, Dec. 15, because Santa gets very sad when families aren’t home when he and the firefighters arrive. The start time for Santa’s Helper deliveries is 3 p.m. 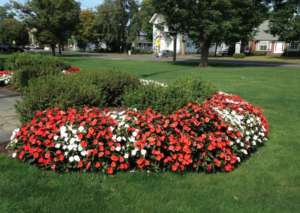 The Friends of the Case Memorial Library is a group of dedicated volunteers who help the library in a number of ways and offer the public the amazing book sale every year. You can help support the Friends of the Case Memorial Library by shopping at the Milford Barnes and Noble from Friday, December 14 through Thursday, December 20. All you have to do is stop by the Library to pick up the Bookfair voucher with their special code for in-store and online sales. The Friends will receive a percentage of the net voucher sales. The Orange Holiday Festival has always been a highlight of the season. It’s a time when residents come together to celebrate as one, taking in the sights and sounds of the town center, appreciating the historical aspects that are all too often overlooked these days, by visiting the Stone-Otis House and Academy Building (Museum – old schoolhouse) and enjoying the local talent of former school Principal/Musician Al deCant at the library and the tremendous bell choir and singers at the Congregational Church. It’s been a tradition for the Amity Chamber Singers to perform at the library, but this year they sang from the loft in the church and sounded wonderful, but few people knew in advance that they’d be there and kept checking the library for them. One feature that was introduced last year, the brainchild of Denise Fantarella, the town’s farming background had its own showcase event with the tractor parade. 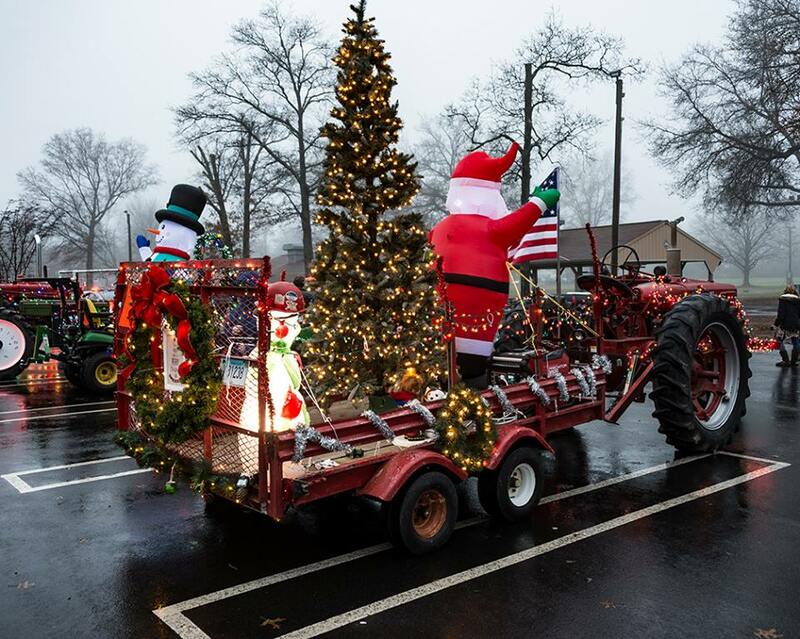 Locals were more than happy to adorn their big and small tractors, golf carts, etc with lights, lighted plastic blow figures, inflatables, and garland. They gathered at the fairgrounds and then drove up to the Town Green on Orange Center Road past the enthusiastic crowd. People lined the street well in advance, anxiously awaiting the first glimmer of light to appear in the distance. Fantarella’s son, Blue, led the procession. It seems that each passing display was more colorful and elaborate than the next. Aside from the tree lighting and visits with Santa, I think the tractor parade may be one of the most treasured parts of the Orange Holiday Festival. Here are some more photos from John Lott. Other news agencies are not giving Amity any attention yet, but when they are in the state final, remember that Orange Live said they are “great this year” since before the season opener. I also said there would be a couple of stand out players, and so far, Jason Csejka #18, and Ed Martino #17 are two of the ones to watch. The Spartans played NFI in Danbury on Wednesday and proved me right. (thanks, boys). Going in, some may have thought they wouldn’t do well, but let’s take a look at what happened. In the first period, both teams were able to keep one another from getting onto the scoreboard. Just 1:46 minutes into the second period, Martino made a goal off an assist from Csejka. In the third period, Csejka wasted no time and :13 seconds after returning to the ice, scored off an assist from Martino, pulling Amity to a 2-0 lead. Six minutes later, a stunned NFI came alive and they made their first and only goal, bringing the score to 2-1. At 2-1, anything could have happened, of course, and to Spartans’ fans delight, with less than three minutes left in the game, Martino slammed one in, assisted by Csejka and Yes, folks, Amity defeated NFI 3-1. 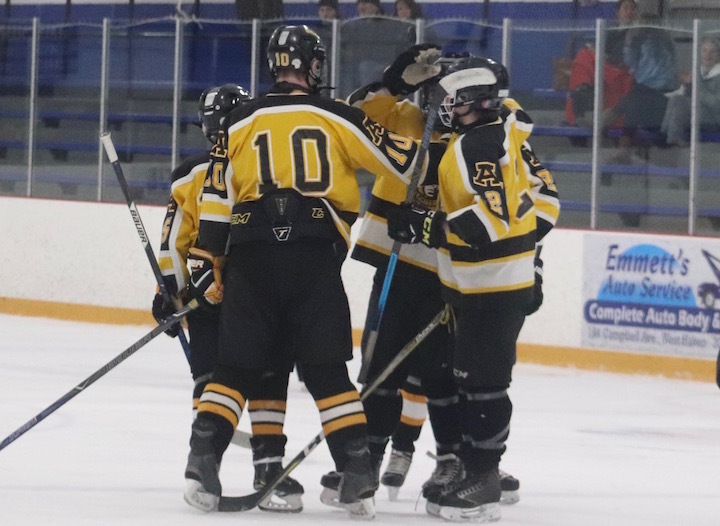 On Saturday, Dec. 15, The Spartans will be on the road in Milford for a game against the Milford Co-Op at the Milford Ice Pavilion at 1 p.m. Don’t miss it, come and cheer on the Amity Spartans this weekend. On Wednesday, Dec. 12, the Blades (Amity-North Haven-Cheshire) Ice Hockey team, took on Notre Dame – Fairfield (ND Fairfield-Law-Foran-Weston-Pomperaug) on their new home ice at the Hamden Ice Rink. 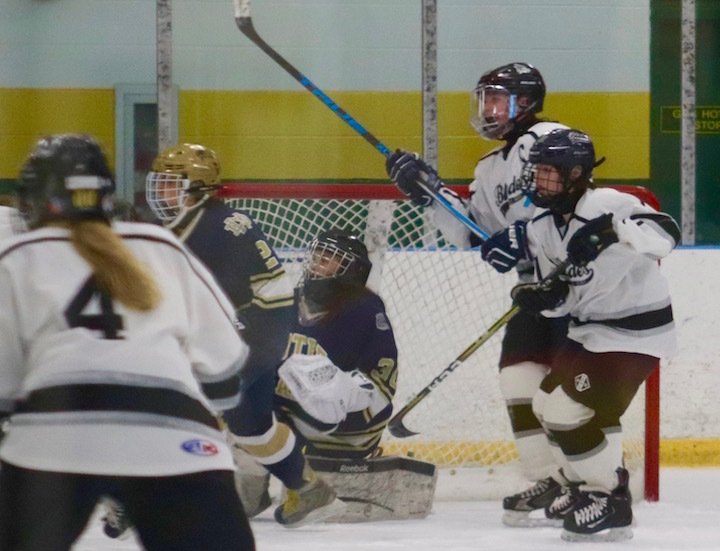 Our Blades played hard, but Notre Dame had the upper hand in this match-up, scoring one goal in each period (each one assisted by Laura Dennigan). Notre Dame outshot the Blades 29 – 22. Our Goalie, Caitlin Ranciato made 26 saves, and Notre Dame’s goaltender made 22 saves. It’s still early in the season, and our girls have time to practice and improve on any weaknesses they may have. 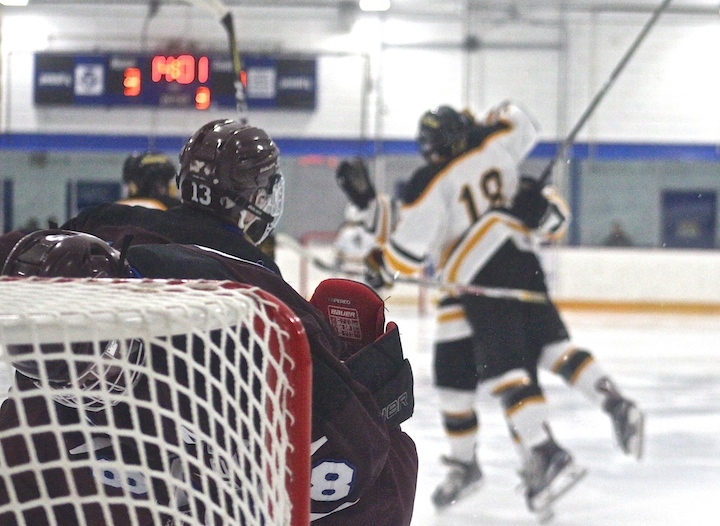 The next shot they have will be on Saturday, Dec. 15 vs Guilford at the East Haven Ice Rink at 5:45 p.m.